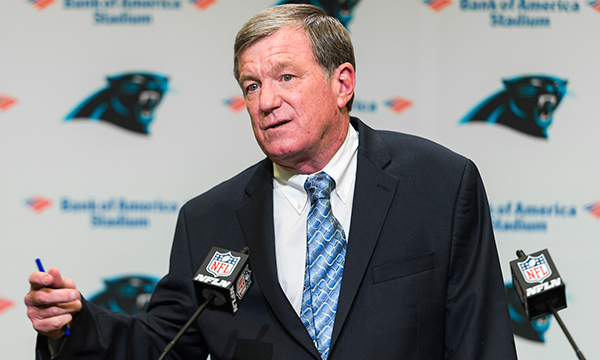 Marty Hurney is the interim general manager in charge of the Carolina Panthers. He took over for Dave Gettleman who was fired on Monday. Gettleman had given out an array of big-money contracts that caused financial difficulties for the organisation and was ousted as a result. Hurney met with the media on Wednesday and stated that he would have full control of the roster and that he intended to have Panthers best interests at heart. Hurney has previously managed Carolina’s GM from 2002 until he was fired in 2012 and replaced by Gettleman. Despite the fact that his previous post ended badly, he is being trusted by owner Jerry Richardson to make decisions that could have a significant impact on the franchise. Hurney seems confident and said on Wednesday that he has a new outlook for his one year on the job. He hasn’t discussed whether contract extensions for Thomas Davis and Greg Olsen are at the top of his priority list, but he has promised to do right by the Panthers.